Are you embarrassed and frustrated by problematic dentures? You can anchor your dentures and improve your smile with mini dental implants! An easy and very affordable dental implant solution is now available! The mini dental implant procedure is faster and more affordable than conventional implant procedures. 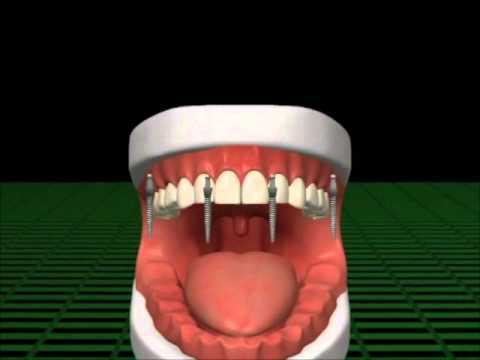 Plus mini dental implants require no incisions, no stitches, and practically no healing time. You can snap in your dentures in our office, wear them home that day, and eat at your favorite restaurant that night! Mini implants are also an option when there is insufficient bone for larger implants. Our practice is one of only a few practices in the area to offer all these implant options. Why do so many patients choose our St. Louis dentists for mini dental implant treatment? Chances are you’re a candidate for mini dental implants. All it takes is one appointment with us to determine whether or not implants are right for you. We’ll look at the condition of your teeth and mouth, and—if you can benefit from dental implants—we’ll determine which implant is best for your individual situation. Our practice is one of the few practices in the area to offer mini dental implant treatment—a non-surgical, affordable, and highly effective alternative to conventional implants. With a procedure that takes only an hour or two, we can give you the comfort and security you're currently missing. No more concerns about an unstable lower denture! Your denture will stay in place—it won’t move around, pop up, or fly out of your mouth whenever you sneeze or cough. There’s very little post-procedure pain, and the cost to the patient is generally 1/3 the cost of conventional implants! This cost-effective solution will have you out the door, eating and talking with confidence, in no time. Download our Mini Dental Implants Information Packet.